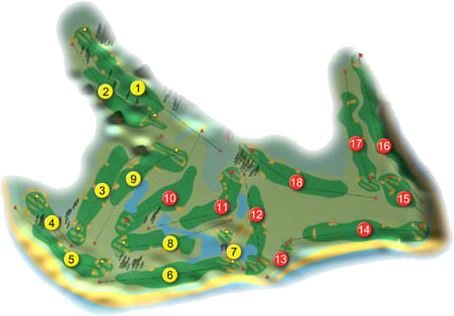 Set majestically right on the Atlantic Ocean with mature trees, water hazards and gently rolling landscape, the course has professionally shaped fairways and highly acclaimed putting surfaces, a true and fair test of golf. Truly a Championship Test measuring 7,308 yards of the back tees. Each golf hole has a different feature, to mention just two, the 12th Index 1 400 metres par-4 into the prevailing wind requiring careful negotiating for your approach shot to the green. The short 7th par-3 over a lake to a two-tier green with the prevailing wind from right-to-left is part of the mystique of Galway Bay Golf and Country Club. Set in magical distinguished surroundings which is both satisfying and challenging at all times. 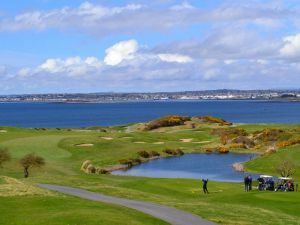 Much of the pleasure of Galway Bay Golf Club is derived from the special atmosphere that exists in the Pavilion Complex, Galway Bay Hotel and Renville Village are situated adjacent to the golf course. 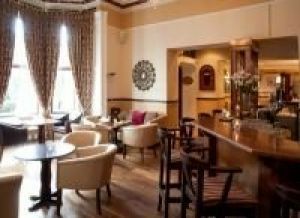 The Clubhouse comprises extensive fully licensed restaurant and bar facilities. Galway Bay was voted the No. 28 Links/Shoreline Course in Ireland by "Backspin" Irelands leading Golf magazine in 2009, the panel comprised of a selection of 52 Professional and amateur golfers throughout Ireland. 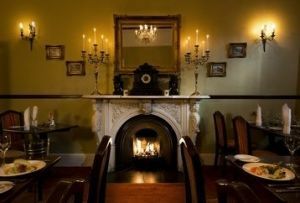 Stay for 2 Nights Bed and Breakfast plus Dinner on 1 night from €159 per person sharing. This offer is based on a minimum of 2 adults per room. Add a round of Golf in Galway Bay Golf Resort, Athenry Golf Club or Cregmore Golf Club from €25 per person! Must be booked separately. The Ladies of Galway Bay Golf Club won the Connacht Final of the Irish Junior Cup when they beat Loughrea Golf Club by 4-matches to 1-match at Roscommon Golf Club on Sunday 2nd September 2018. They were led out by Mandy Cosgrave (9) who beat Sharon Mooney(11) by 3 and 2, she was followed by Helen O'Flaherty(11) who recorded a 2-hole win over Chris Greally(12), next on the tee was Katie Coleman (14) who beat Marie Hannon Healy (13) by 2 and 1, the penultimate match of Fiona Caulfield (15) against Olive Costello (13) and bottom match of Margaret Harkin(15) with Sheila Stratford (14) were both declared as halves when called-in. They made the long journey to Knightsbrook Hotel & Golf Resort to participate in the All-Ireland Deciders where they met Munster Champions East Cork in the All-Ireland Quarter Final and were led out again by Mandy Cosgrave who lost out to Deirdre O’Mahony by 5 and 3, next on the tee was Helen O’Flaherty who had a bad day against Mairead Ni Mhurchu when losing out by 6 and 4 she was followed by Katie Coleman who halved her match against Deirdre Ryan, the penultimate match of Fiona Caulfield was a resounding 8 and 6 win for Tara McCarthy and the bottom match of Margaret Harkin was recorded as a halve against Sel O’Leary. The Ladies of Galway Bay Golf Club won the Connacht Final of the Intermediate Cup of the ILGU Interclub Championship at Donegal Golf Club on Saturday 21st August 2010, when they beat Ballinasloe Golf Club by 4 matches to 1 match. They made the long journey to Donabate Golf Club to compete in the All-Ireland deciders when they were drawn against Moate Golf Club in the quarter-final. First on the tee was Helen O'Flaherty (17)who won her match 5 and 4 against Pearse Corbett (16), she was followed by Orla Shields (18) who had a convincing 6 and 4 win over Sinead Healy (19), next up was Aoife Killeen (19) who had a similar result against Veronica McCormack (20), the next two matches of Deirdre Toohey (19) against Mary Egan (21) and Sheila Reilly (19) against Eileen White (22) were called-in. They met Kilcoole Golf Club in the All-Ireland semi-final the following morning and were led again by Helen O'Flaherty (17) who lost her match to Loretto McDermott (17) by 3 and 1, she was followed by Orla Shields (18) who lost out to Angela Maher (18) by 4 and 3, next up was Aoife Killeen (19) who had a comfortable 4 and 2 win over Joan Donnelly (19), the penultimate match of Sheila Reilly (19) against Pauline Doyle (20) was halved, the bottom match Deirdre Toohey (19) also went to the Wicklow club when Karen Hordfall (20) recorded a 5 and 4 win and their passage to the All-Ireland Final. The Ladies of Galway Bay Golf Club won Connaught Final of the AA Insurance Intermediate Cup and made their way to Royal Tara Golf Club in 2009 to compete in the National deciders, where they beat Mid-Leinster Champions Enniscorthy Golf Club in the All-Ireland Semi-Final and won their match by 3½-matches to 1½-matches. First on the tee was Fiona O'Driscoll (16) who had a convincing 8 and 6 win over Annette Cullen (16), she was followed by Helen O'Flaherty (19) who lost to Stellah Sinnott (17) by 5 and 4, next up was Orla Shields (20) who won her match by 3 and 2 over Josephine O'Connor (17), the penultimate match of Aoife Killeen (20) was halved against Michelle Brown (17), in the bottom match Fiona Caulfield (20) beat Marie Dunphy (22) by 2 and 1. They met Ulster Champions Edenmore Golf Club in the All-Ireland Final when they lost out by 3 matches to 2 matches, they were led again by Fiona O'Driscoll (16) who won her match against Colleen Hanna (18) by 2 and 1, she was followed by Helen O'Flaherty (19) who lost by 4 and 3 to Zoe Allen (18), next up was Orla Shields (20) who had a comfortable 4 and 2 win over Cherry Logan (19), the penultimate match of Aoife Killeen (20) against Stephanie Watson (21) went 2 and 1 to the Northern club, it was all down to the bottom match of Fiona Caulfield (20) against Louise Gaw (21) which could not have been any closer when Louise lost out on the 18th-hole. The Ladies of Galway Bay Golf Club were runners-up in the All-Ireland Challenge Cup at Athlone Golf Club on the 30th September 2007 they beat Gracehill Golf Club by 4 matches to 1 match in the Semi-Final and met The K Club in the All-Ireland decider. 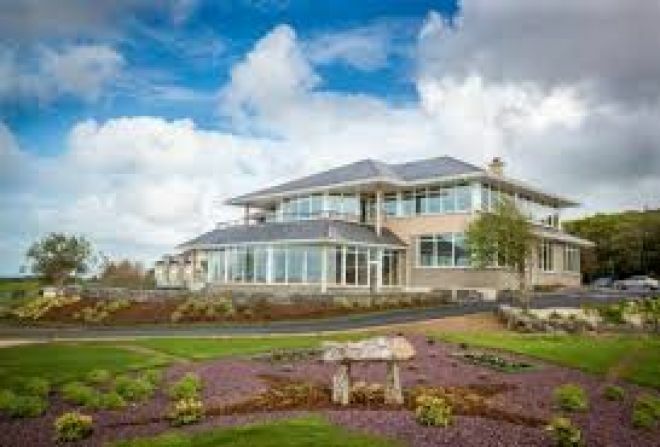 Galway Bay Golf & Country Club won the All-IrelandPierce Purcell Shield at Royal Portrush in 1999. The team was John Donoghue, Stuart Elwood, Brendan Collins, Pete Melville, James Giles, Vinny Byrne, Padraig Moran, Tom Corcoran, Ken Beatty, Liam McCallion, Gareth Caufield, Roger Derham, Matt Molloy, Roy Ramberg, Tom Joyce, Billy Keady and they were captained by Michael Forde.